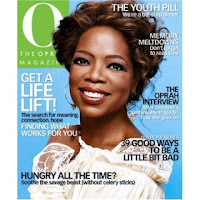 This month's O magazine features a fantastic article by Chandler Burr, fragrance critic for The New York Times. ("If Perfume Be the Food of Love..." O October 2007: 187-190.) Thanks to a friend near and dear to my heart who knows of my obsession with perfume, I received a copy of this incredible piece of writing and creativity. Mr. Burr discusses the genre of gourmand fragrances which have become so popular as of late. However, he takes it a step further than simply exploring some fabulous gourmand scents. He enlists the help of the Carlyle hotel's executive chef to create a menu to accompany each featured scent for seventeen guests. He highlights several fragrances that I have tried and quite a few that I haven't. The way in which he describes them and their accompanying segments of a six-course meal literally brings each fragrance to life. I cannot think of a better pairing - perfume and food. In fact, using terms like "delectable" or "scrumptious" when I describe scents is a habit for me. Although I search for other adjectives, those to describe food seem so fitting for gourmand notes. Eau de Gingembre by Roger & Gallet. "I've seen people gasp on smelling this perfume-a balance of sharp and smooth, tart and crisply sweet." Bring it on. Hermès Ambre Narguilé. "...Smells like caramel and subtle, nutty banana." Really? If I had known that I would have tried it a long time ago. The fancy name threw me. The Different Company Sel de Vétiver. "It is an unearthly perfume, deep and cool and liquidly dark as the water in a stone well at midnight." Wow! Estée Lauder Pleasures Delight. 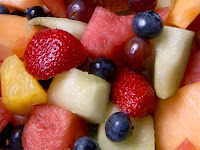 "The scent of a fruit salad ... with a sea-air freshness that lightens the fruit and makes it deliciously refreshing." Interesting and worth investigating. I would have thoroughly enjoyed the pineapple tarte tatin paired with L'Artisan Perfumeur Ananas Fizz or Tom Ford Black Orchid with a vanilla-rum milkshake. Better yet, Missoni with a sweet, warm, dark brownie. Fabulous dah-ling! Oh, to be included in that gathering. A girl can dream, can't she? Hope all is going well with you and yours ! The Chandler Burr dinners are extremely expensive, and I've neither been able to get to NY for them, nor allot the extra dosh- but those who've attended RAVE about them ! I think you'd like them all- but probably wear Ambre Narguile a LOT. Well hello my East Coast Jewish Mother! :-) I would love to speak with someone who has been to a Chandler Burr dinner. What a treat that you live close enough to hear about them! Ambre Narguile stood out for me as well! I appreciate the second vote! I adore you. Thank you for your comment and for reading! The Chez Moi system looks so intriguing!